Rocking a bit of a deadline issue today…didn’t get this post up last nite due to sleepiness, and now I face a long day of drudgery with no end in sight, so if I want this review to be up before the next show, it has to be done now. As in, quarter to seven in the AM. Sigh. There’s a first time for everything, right? 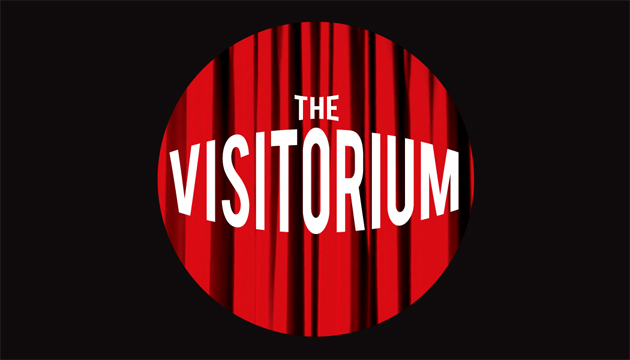 And as it happens I DO want this post up before the next show, as it’s the latest from the peppy kids at Sock’n’Buskin Theatre over Carleton U. way, and even though I keep getting lost in the tunnels on the way to the theatre, I suppose I can’t blame them for THAT. 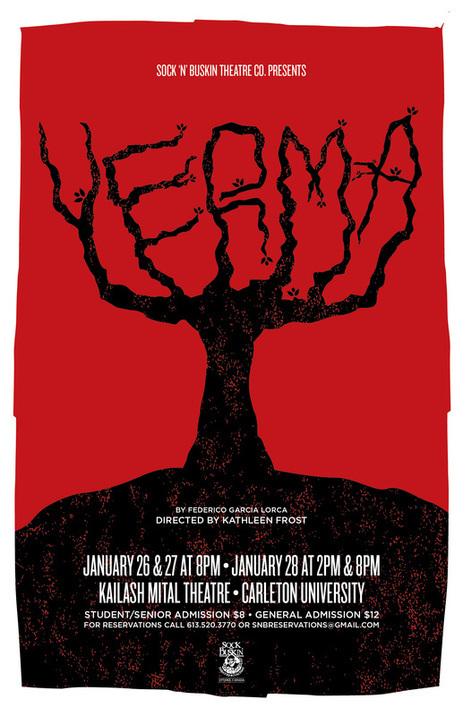 The latest show is YERMA from Federico Garcia Lorca, and directed by KAthleen Frost. Set in what seems to be rural Spain , it follows the tale of the titular character, stuck in a going nowhere marriage and desperate to have a child. On the face of it, it sounds like some by-the-numbers Katherine Heigl RomCom. Don't worry though. It's nowhere near THAT grim. The show stars Jane Hosek as the single-minded Yerma and Will LaFrance as Juan, her dedicatedly protective husband. In and around them are Mark MacDonald as local heartthrob Victor, Ellen Manchee as the Mother-mystic Dolores, and several choruses and supporting characters. Our Yerma especially seems to live vicariously through her pregnant friend Maria (Sophie Crump), who seems nowhere near as excited about the concept of Motherhood as her increasingly obsessive galpal. Juan, meanwhile, sics his eerie sisters (Veronique Nolin and Joanna Hearn) on Yerma to act as surrogate jailers, trying to keep her nocturnal wanderings to a minimum lest the family honour be tainted. As these two ideologies clash, music and dance paint a picture of the surrounding scenery to great effect, and pretty swanky entertainment, too.